Despite my last post suggesting that I was more a fan of rock music here I am posting YouTube clips of musicals! I have to admit I do quite like a tune from musicals and quite enjoy bellowing along in the car on my way to work. I was even embarrassing some of our children this week with my own rendition of Let it Go from Frozen, much to Miss Wilson’s amusement.Anyone who has worked with me in the past knows that I have a bit of tendency to sing or hum as I am walking around the school and pretty soon everyone gets used to it but since we are all still getting to know each other here it came as a little bit of a surprise. It feels like I have been Headteacher of Easter Carmuirs for much longer than the 4 weeks I have been in post and I mean that in a very positive way! I am getting to know everyone a little better and viceversa. I spoke at my interview about my very firm belief that if we are going to work successfully as a community we need to take account of everyone as an individual and the only way we can do that is by getting to know one another, and the best way to do that is by talking to each other. 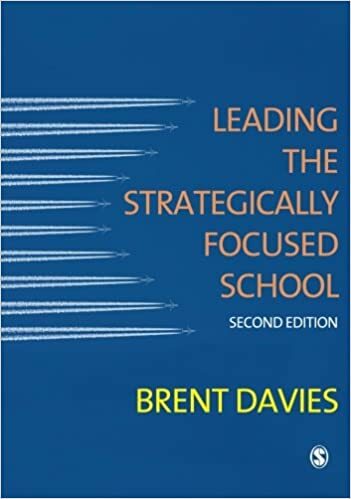 As part of my reading for my postgraduate qualification in headship we spent some time considering this book by Brent Davies and one of the key points for me was that “relationships are formed only when people come into contact with each other”. It seems like such an obvious thing to say but in the day to day running of a school with the pressures on everyone to meet deadlines, deliver paperwork and all the other things that have been called the “tyranny of the urgent” it can be one of the first things to get dropped out of a day. I try to make it a point to visit every class, every day and most days I manage it. I also make every effort to get into the playground every day as it gives us an opportunity to chat in a slightly different context. I enjoy speaking with our staff, children and families finding out a little more every time about what makes us all individuals, so if you see me out and around the school at the end of the day don’t forget to introduce yourself and have a blether! I was never an enormous fan of the Carpenters (I prefer something a bit rockier) but I happened to see a documentary on Karen Carpenter last week and it was really interesting although very sad. I thought the title at least was appropriate for my first blog post. Anyway, I hope I will be able to update my blog every couple of weeks and chat about some of the things that have got me thinking. The first three weeks have absolutely flown by and I am sitting with a cup of coffee in my house thinking about how much has happened already. I have been made to feel very welcome by all the children, staff and families and although I still have many of you to meet I am definitely getting there with the children’s names! One of the main developments we will be getting on with this year is the development of well-being and resilience in our children. Along with all the other schools in the Falkirk High Learning Community we have chosen to focus on a programme called BounceBack. We will be developing this programme over this session and beyond helping our children focus on key messages about resilience and to recognise that they have the skills, knowledge and attitudes to flourish and grow. I am sure that many of your children have been speaking about Bounce Back time where the whole class sits together and eats for a short time and talks about some of the days issues either within class or with a wider perspective. This is a key part of our introduction to the development of resilience within the school and we are looking forward to seeing it progress over the years. These 10 points below come from the Centre for Confidence and Wellbeing who have lots of really interesting resources and background to the approach we are taking. 1.Remember, bad feelings: don’t last; have a purpose; and galvanise us to do things differently. 2.Try to normalise young people’s set-backs. Help them to see they are not abnormal in having difficulties in life. 3.Help them to see that problems can be solved. 4.Encourage young people to keep things in perspective – the problem is usually confined to only one part of their lives. 5.Remember the value of humour – laughing can be a great release (but only if it is well-intentioned). 6.Encourage young people to accept responsibility for their actions. 7.When reading stories, or discussing events, point out how people manage to overcome difficulties. 8.Remember that learning is often frustrating. Encourage young people to persist and believe they can get there. 9.Provide support. Help them to see there are people who care about them and can give them help and advice when needed. 10.Create a positive environment, that emphasises the importance of relationships and a sense of purpose: there is more to life than the way they feel.